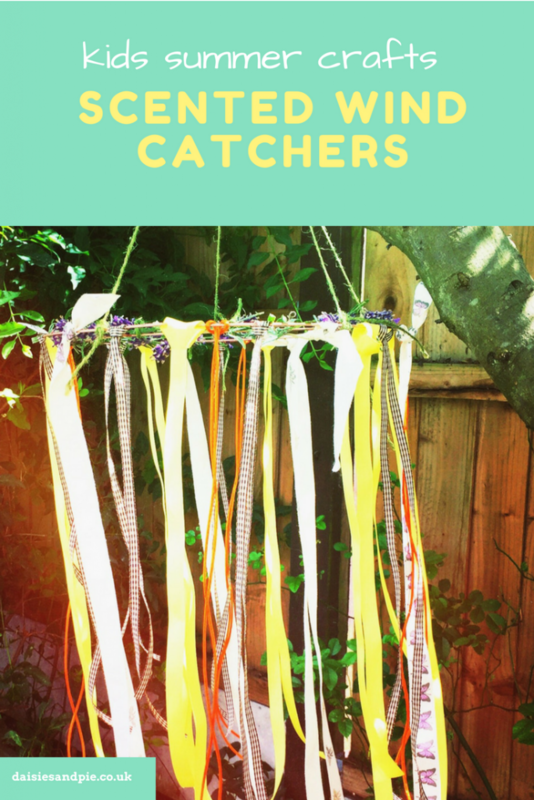 Young kids love to make these gorgeous wind catchers, they’re fun to put together, beautiful to watch in the wind and make lovely homemade garden decorations for summer parties or picnics. 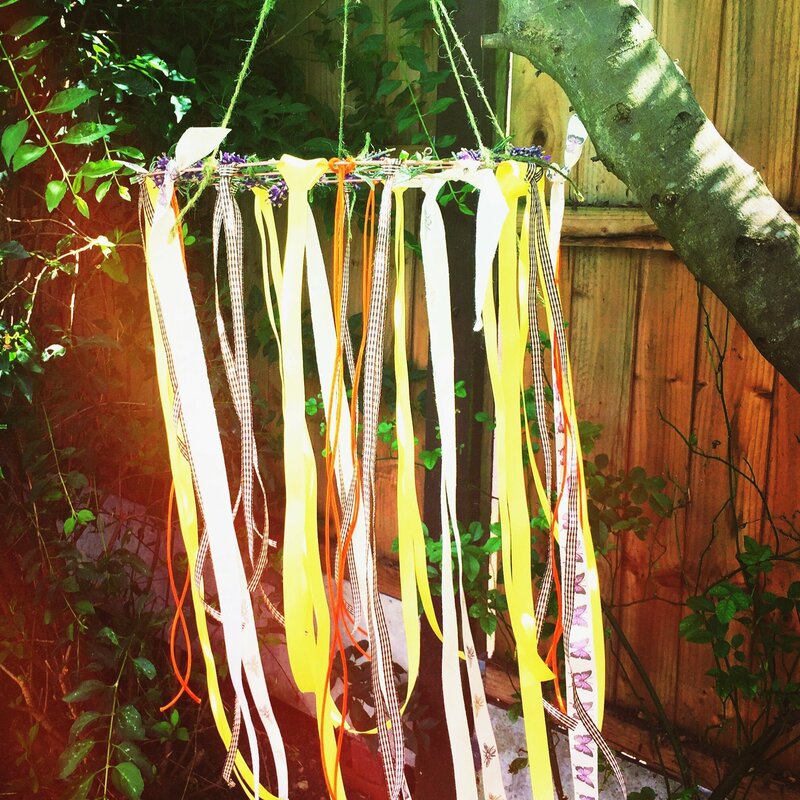 We love this simple wind catcher design just using ribbons, which are really easy for kids to tie and decorating the top with freshly picked lavender which just smells beautiful. Tie two lengths of string to the top of the wire circle, these are the hanging strings. 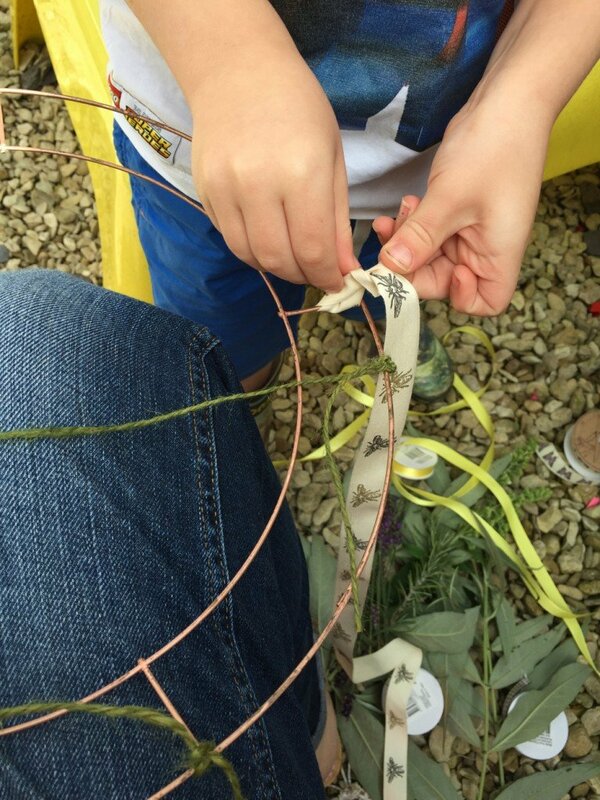 Cut the ribbons into different lengths and tie them onto the wire circle so they hang down. 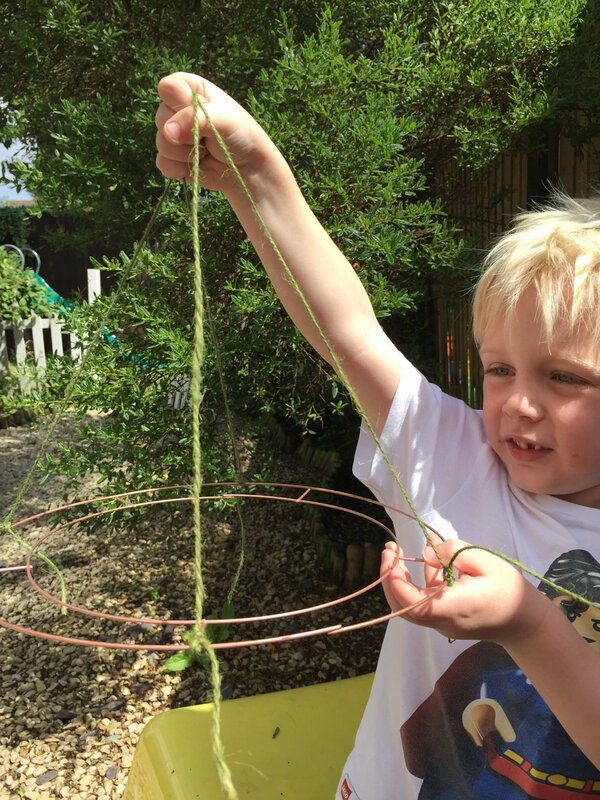 Use string to tie lavender bunches to the top of the wind catcher wire ring. Tie small bells onto the ends of the ribbons to create tinkly sounds in the wind. Tie nature hunt finds to the ribbons, pine cones, twigs, feathers, any interesting bits the kids have found.